On Sunday the lovely Sam Hearn and Tristan Anderson wed in the gorgeous redwoods in Rotorua. 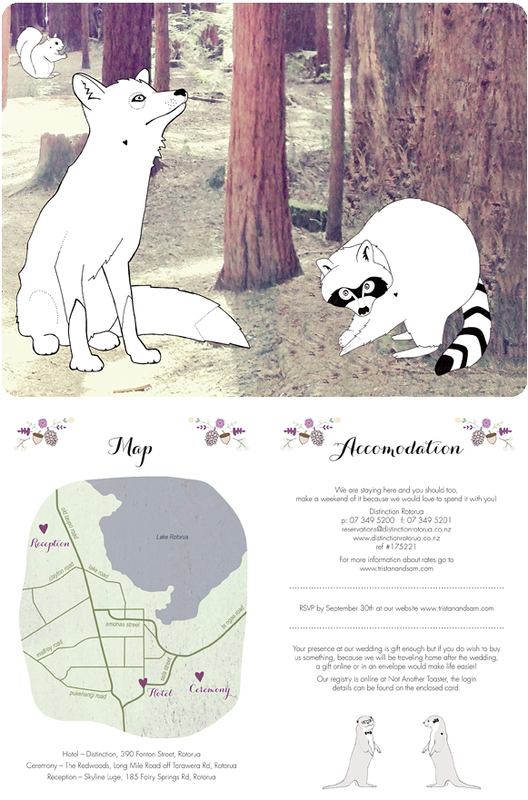 I did their wedding invitations using photos of the redwoods and adding in illustrations of animals. Sam loves otters so I created an otter bride and groom to represent them :) I had so much fun designing this one! Come back here tomorrow to see what I did for their table numbers. These invites are beyond adorable! 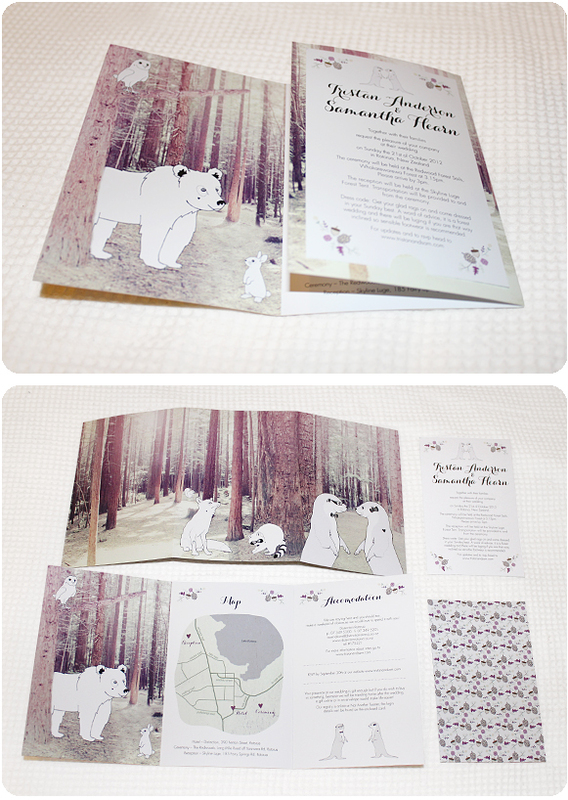 I especially love how its so personalised to them, I'd love you to do my Wedding stationary when I get married some day! Wow ! I just found out your blog and I'm a big fan of your work. Everything is so beautiful, keep going !